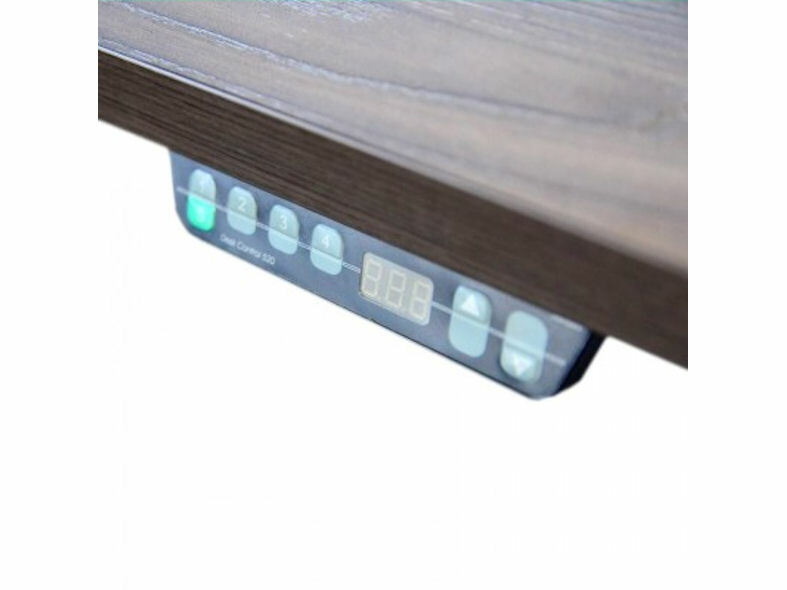 The MDD MITO Executive Desk has an electric height adjustable top allowing the user to sit or stand at the desk and includes a lockable drawer/storage. 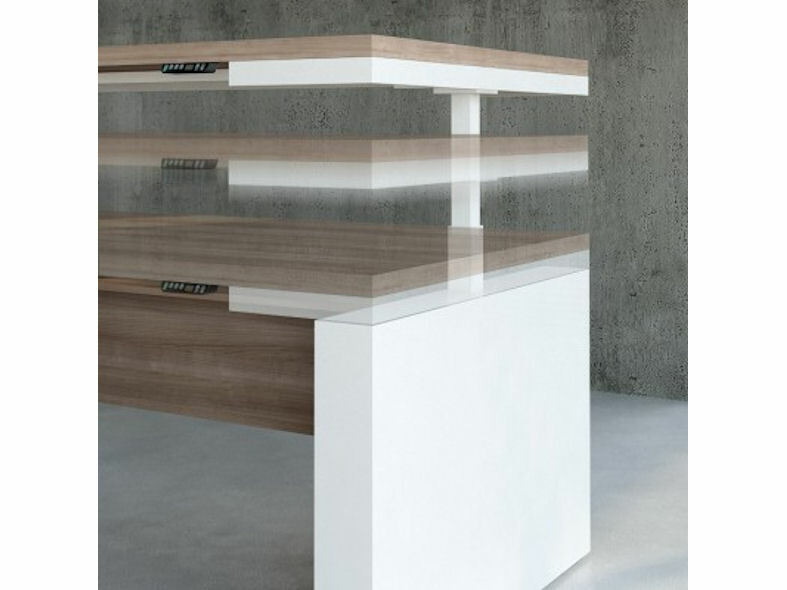 Designed by the Italian architect, Simone Bernocchi, MITO is a brand new executive furniture series that combines white lacquered elements with the synchronous 3D structure plate of light and dark sycamore. Available in a choice of left or right handed options and two different sizes. 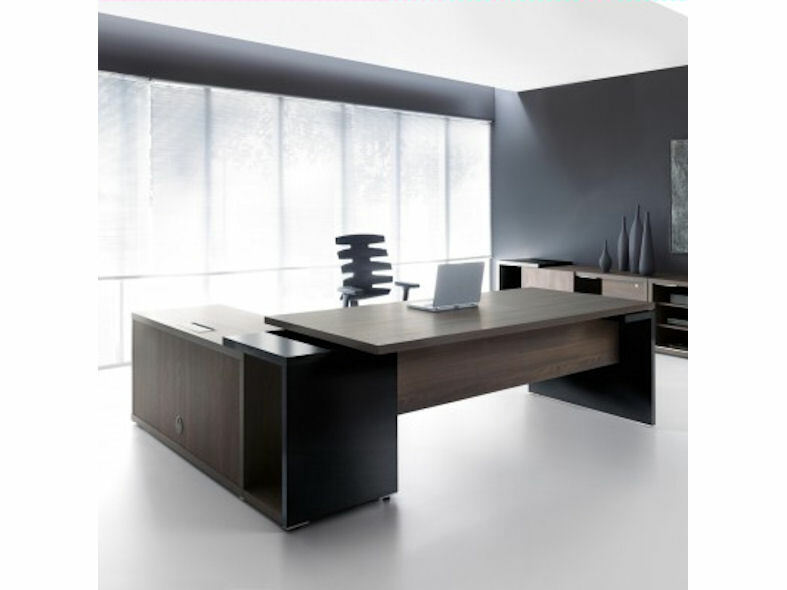 The MITO Executive Collection also includes the MITO Executive Desk with Pedestal End and the MITO Executive Desk with Panel End.